Constructed of durable ThermoPlastic Rubber (TPR), with an antibacterial agent to help suppress the growth of bacteria and mould to protect the brush, the Ergonomic Toilet Brush thoroughly cleans the toilet bowl without scratching the surface. The cylindrical-shaped head reaches into the trap, while the extension is specially designed for thorough cleaning under the rim. The plastic handle has an ergonomically designed grip with a touch of rubber for a comfortable and easy hold. 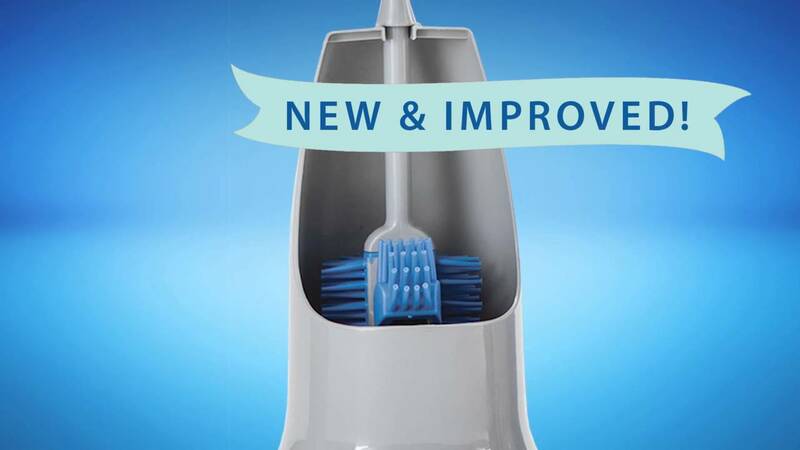 The brush head is designed for use on both sides of the brush so you don't need to flip it to complete your cleaning task. After rinsing, store the Toilet Brush in its caddy, where it air dries quickly just above the caddy's base. Ventilation space between stored brush and the holder helps prevent accumulation of mould and mildew.